Have you ever thought how much makeup you actually use in a week? A month? A year? 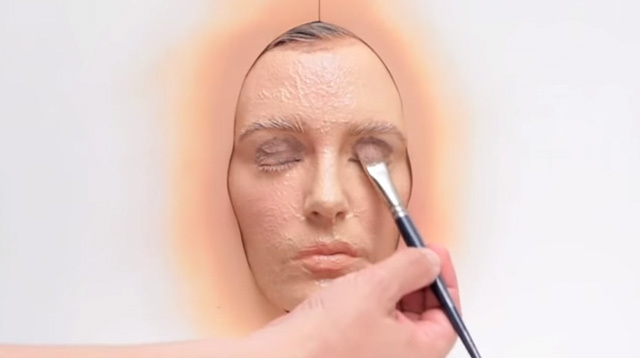 Dutch directors Lernert & Sander created this three-minute video called Natural Beauty, where they had a model wear 365 layers of makeup, showing how much product a person actually uses in a year. According to Byrdie.com the filming took a total of nine hours and “three lipsticks, seven bottles of foundation, and two bottles of cream blush and eye shadow to complete.” WOAH. Honestly, we’re more concerned about how long it must’ve taken them to remove the products from the model’s face. We sure hope she did some deep-cleaning action, so her pores won’t clog up. Amiright? !